Motiv Ring: What does it track? Motiv Ring: Who is it for? Motiv Ring: Should you buy it? 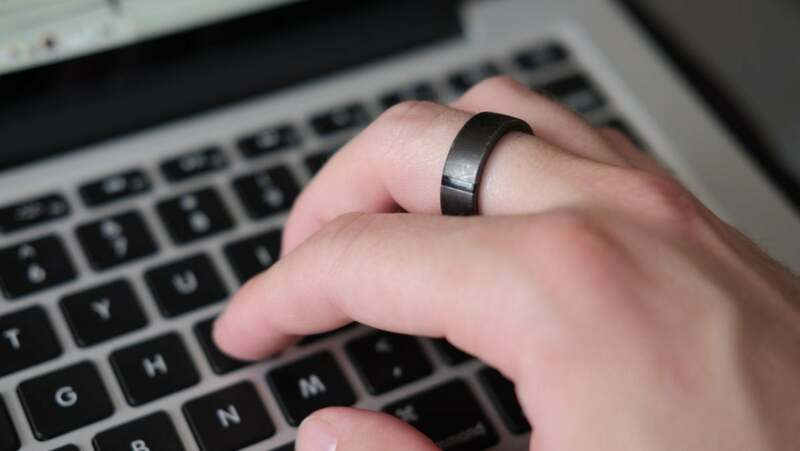 The Motiv Ring is a stylish fitness tracker that shrinks down the guts of a traditional wearable to fit in a ring. 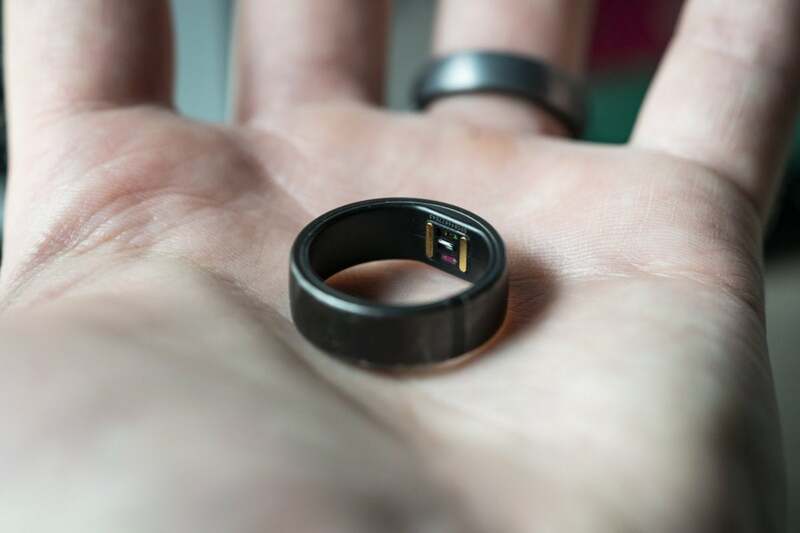 The Motiv Ring blends into your wardrobe better than anything Fitbit has offered to date, but it’s a new device that’s severely lacking in app and community features—an area of strength of Fitbit. 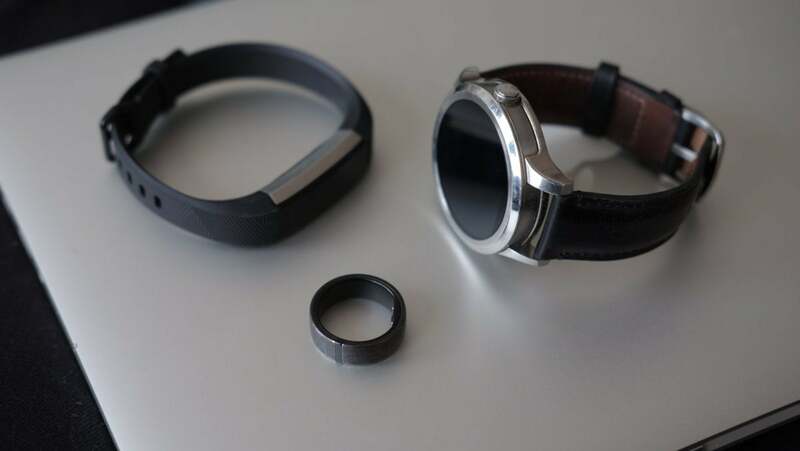 In this review I’ll go over the Motiv Rings’ features and see how it stacks up versus the Fitbit Alta HR, a Huawei Honor Band 3, and a Fossil Q Founder smartwatch. Pairing the Motiv Ring to your phone is quick and easy. When you order a Motiv Ring from the company, they send you a sizing kit made up of plastic models of the Ring, with sizes ranging from 6 to 12 (no half steps). There’s a noticeable lack of smaller sizes for petite hands; Motiv says that the internals can be miniturized only so much in order to maintain accurate tracking. The Ring comes in two colors, Slate Gray and Rose Gold. I tested a size 11 Slate Gray Motiv Ring. At first, it’s hard to believe that all of the tech required for a fitness tracker could fit into something as small as a ring. The number of features in the Motiv Ring compared to a Fitbit is a pleasent surprise. The Motiv Ring has a titanium outer shell that’s visually broken by a small LED strip. Compared to my tungsten wedding ring, the Motiv Ring is a bit more bulky, but on my large hands it fits well and blends right in. The battery is rated for three days, a claim that held true. Charging is done via a magnatized USB dock and took around 90 minutes to fill a Motiv Ring from dead to a full charge. The internals are the same regardless of ring size, so you don’t get a bigger battery in a bigger ring. Also inside are an accelerometer and data storage that can cache up to two days of data. 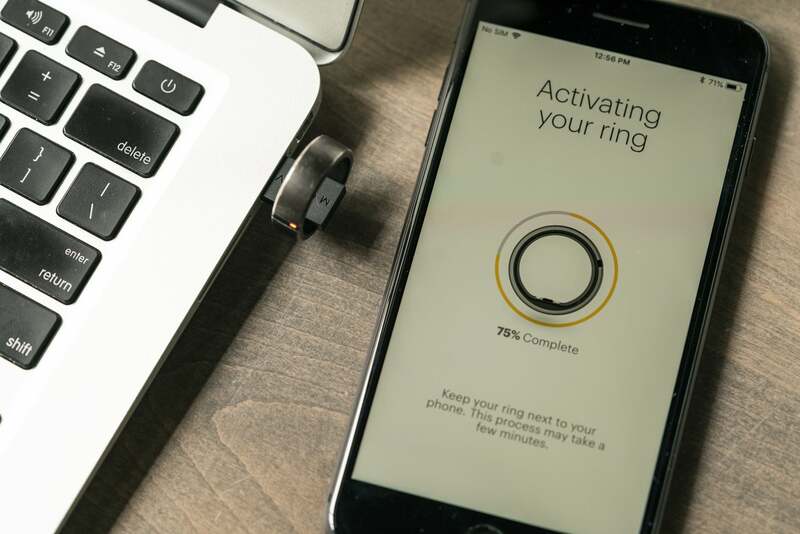 The ring connects to your phone via Bluetooth and periodically syncs to offload its stored info. The inner part of the outside of the ring has a heart rate sensor and two magnetic strips that hold the ring onto the charger. The optimal placement for the sensor is on the palm side of your finger, which felt natural and didn’t tend to wander. An important feature of the Motiv Ring is that it’s waterproof up to 165 feet. I was never worried about the ring while washing my hands, taking a shower, or doing the dishes— nice relief when so much of our technology feels frail in comparision. 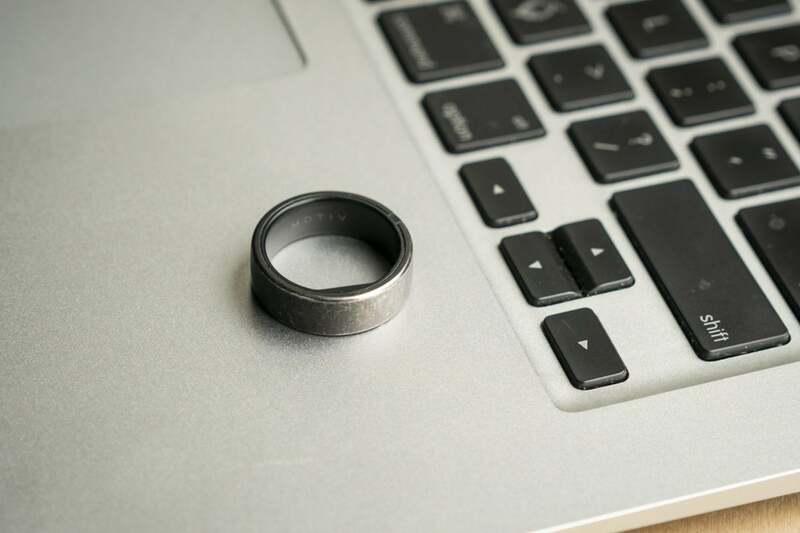 The Motiv Ring is highly durable and lightweight, though over time the titanium shows some serious wear (as titanium tends to do)—every time I wash my hands it knocks against my wedding ring made of tungsten, a notably harder metal. If you are hoping to have a ring that doesn’t show heavy signs of wear then be warned, titanium is not for you. Be warned: Titanium wears over time. The Motiv Ring tracks almost everything a Fitbit does, but falls short in a few key ways. Inside the simple Motiv phone app (available for iOS and Android in Beta form), your activities are tracked via blocks of time in the form of a card that has a handy photo and time stamps. 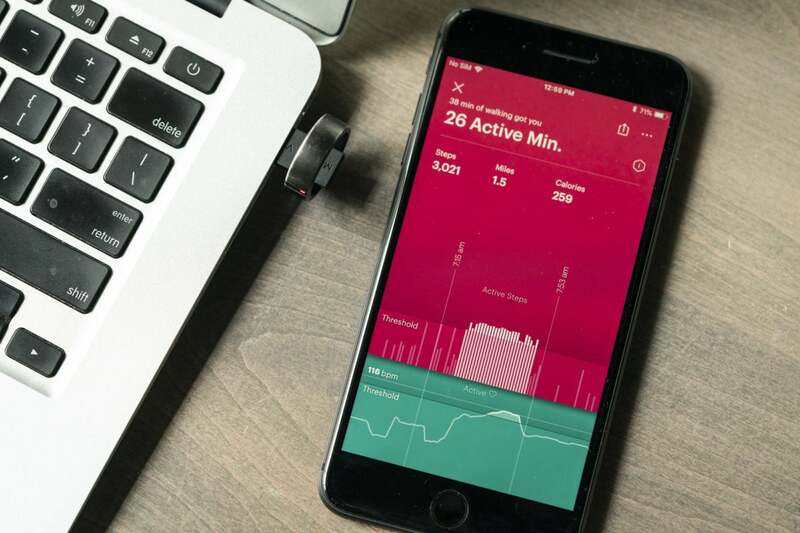 If Motiv can’t determine the activity you participated in, it’ll ask you to clarify, letting you change not only type of workout but the times and level of exersion. You can also create your own card if one doesn’t pop up automatically. The card based activity tracking is easy to use and fairly straightforward. The app also has cards that detail your sleep and resting heart rate. Tapping on either will give you a bit more information, but not much. In the case of your resting heart rate you see only the previous nights. Your sleep trends show the difference between sleep and restlessness (indicated by a bar graph) but it doesn’t record variances in deep, light, and REM sleep. This is a major drawback compared to other fitness trackers like Fitbit, and one that won’t change anytime soon. 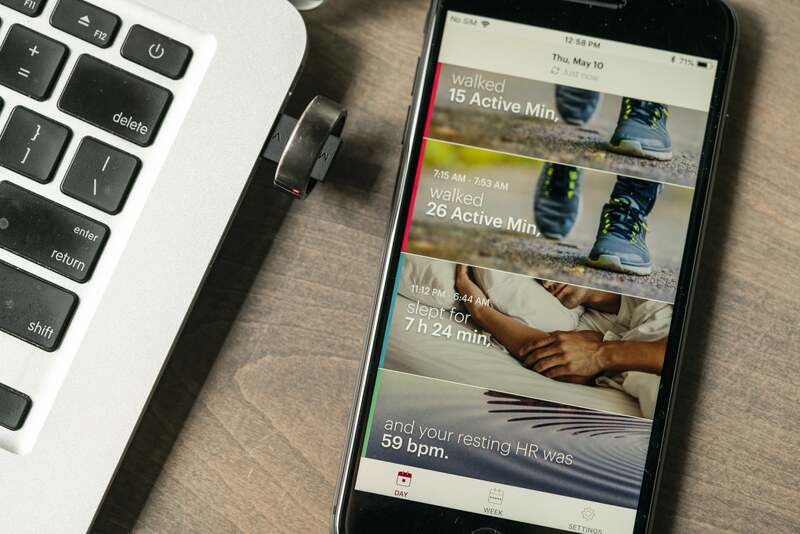 Motiv says that the amount of power the sensor requires to track the different kinds of sleep patterns would be detrimental to battery life. Tracking was fairly accurate compared to the Fossil Q but a bit more sporatic compared to the Fitbit. Goals can be set for your desired amount of daily activity but it’s very bare bones and not along the lines of Fitbits’ or Huaweis’ helpful prompts. It’s more like what’s found in Google’s Wear OS on the Fossil Q, something to monitor broader activity trends and sleep patterns. Compared to other systems, all of Motiv’s readings fell within accurate margins of error (I’m not a fitness nut who needs complete accuracy). In my world it seems like everyone from my co-workers to my parents uses a Fitbit, but I’ve always been turned off by its style. I’ve also never needed the granulairty of the fitness tracking they provide, as I’m admittedly not an active person (though I know I should be). And even though I would enjoy the ability to track my activities against friends and family—like you can with Fitbit—it’s not a huge loss. So if you aren’t interesting in wearing a fitness band or smartwatch but still would like to do activity tracking on a broad scale, then the Motiv Ring is right for you. The Motiv Ring has a lot of tech packed into a tiny space. On average, I’ll log 13,000 steps a day, most of which comes from my daily commute, and an occasional martial arts training session. I’ve mostly been happy with the tracking that Google Fit provides on my Fossil Q, but have been slowly getting impatient with the lack of advancements on the Wear OS platform. It's also worth noting that Android support is coming, with an open Beta running now. I've used it for a couple weeks and at this point it is very rough. I don't recommend anyone buy the Motiv Ring for use on an Android phone right now, iOS is the way to go. The Motiv Ring is perfect companion for someone who wants a glimpse into their daily activities and doesn’t want to wear yet another thing on their wrist. The tough and stylish package of titanium fits well in my daily wardrobe and has a minimal impact on my phones battery. The Motiv Ring phone app isn’t as detailed as other fitness trackers, but it does seem to do an accurate job of the data it does record. The Motiv Ring is the perfect fitness tracking partner to an analog watch.